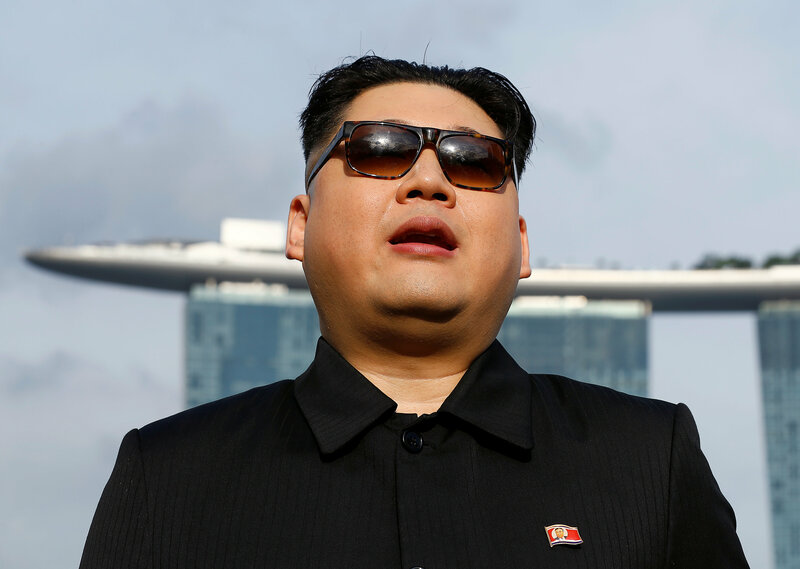 The incident came just days before the city-state hosts high stakes talks between U.S. and North Korea’s leaders. 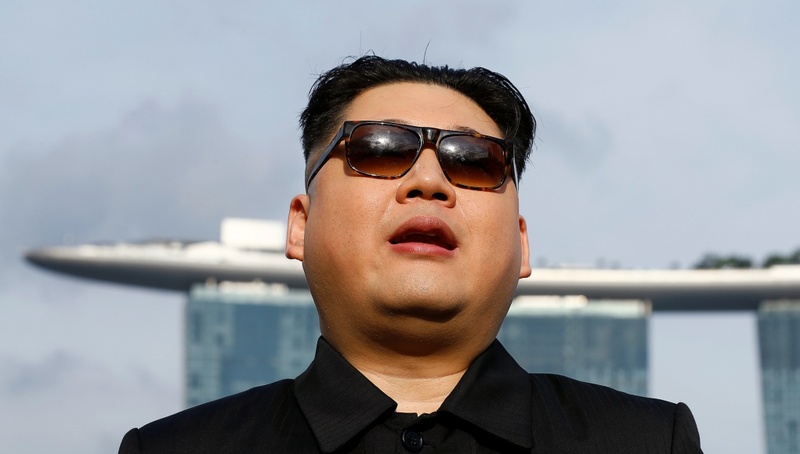 Howard X, who declined to give his real name, told Reuters he was detained for two hours and questioned for around 30 minutes when he arrived in the early morning hours at Singapore’s Changi Airport. 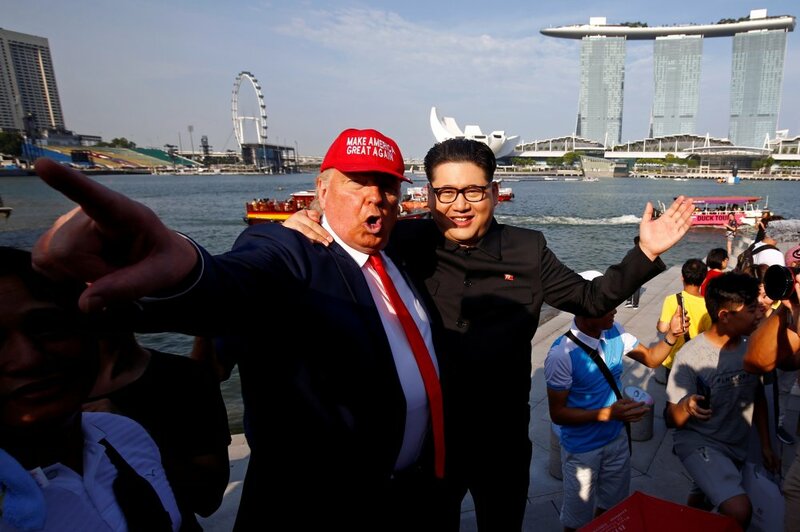 “(They) asked me what my political views were and if I have been involved with protests in other countries,” he said, adding that he was told to stay away from Sentosa Island and the Shangri-La, two areas that are designated ‘special event areas’ for the summit. 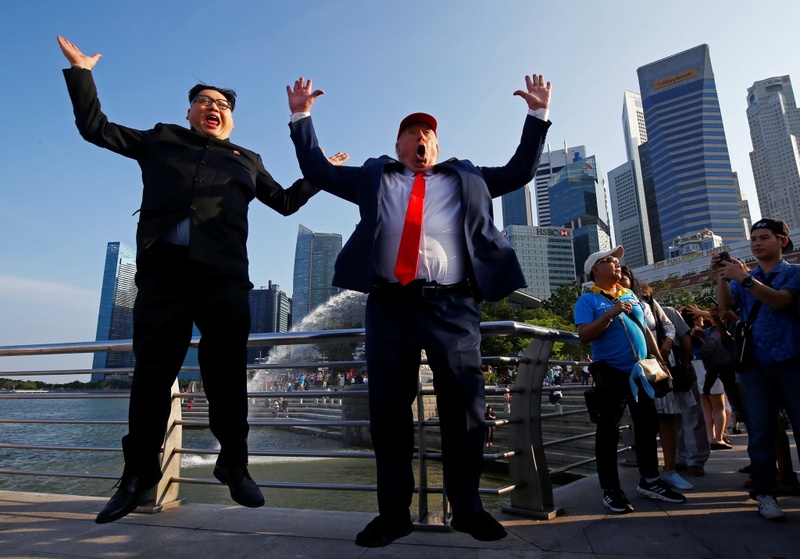 The Immigration and Checkpoints Authority of Singapore (ICA) said Lee Howard Ho Wun arrived at Changi Airport at about 3.30 a.m on June 8 and was interviewed about 45 minutes later. After completing the interview he was allowed entry into Singapore. “As part of the immigration clearance process, travellers to Singapore may be subject to additional interviews and/or screening,” the ICA said in a statement late on Friday. 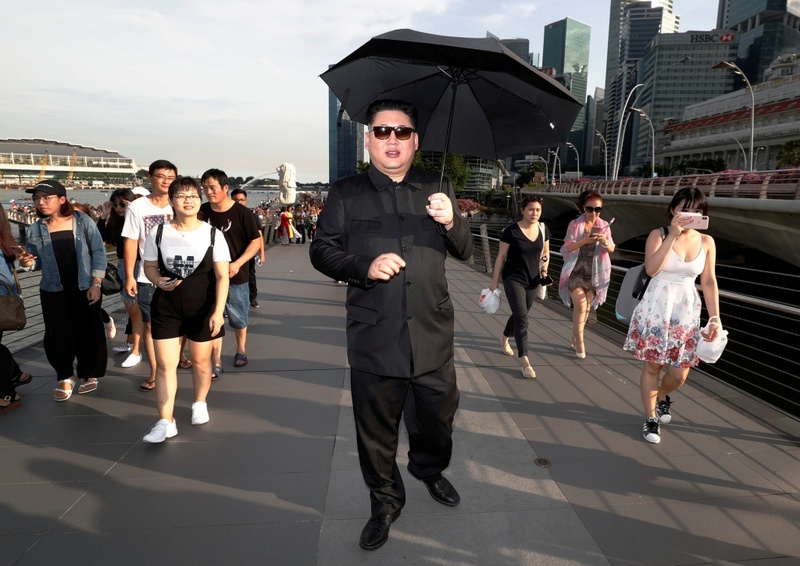 Howard X was in Singapore late last month, posing as Kim Jong Un against a backdrop of the city’s bay which features sites such as the Merlion and the iconic Marina Bay Sands Hotel. 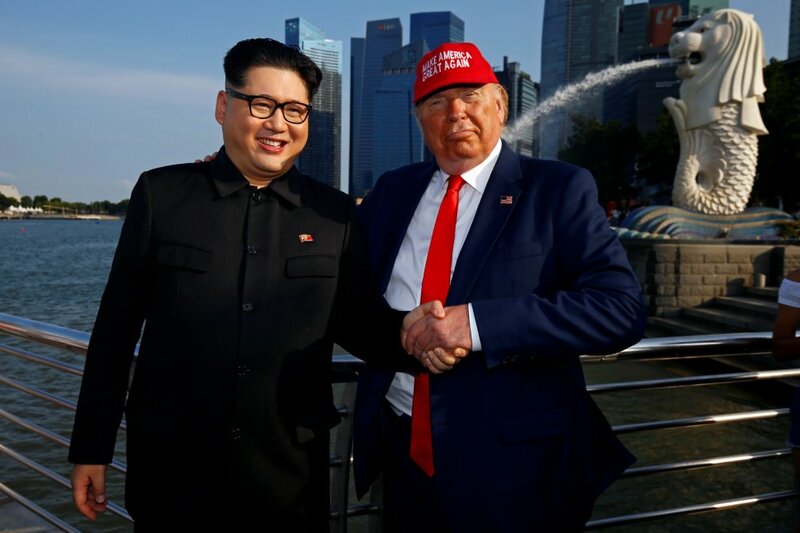 He said he is planning similar stunts for the purpose of political satire in the coming days, this time in tow with Donald Trump impersonator Dennis Alan. He said he is not planning any protests. Rights groups have criticised Singapore’s laws that they say limit critical speech and peaceful assembly. For example, protests have to be pre-approved and are allowed only at a designated downtown area called the Speakers’ Corner. Singapore has held the position that its laws and regulations are needed to maintain social order and harmony.